Forecast was dismal, chances of success were cloudy but more than 50 pilots showed up for Tiff’n’Larry’s legendary hospitality. And they really put up a 1st class party. Larry’s son jammed on the stage(cool), other great performances were on each night, and the food was like what Mom makes and my Mom can really cook. Leif and I arrived at 3am Friday evening and set up camp in the rain. 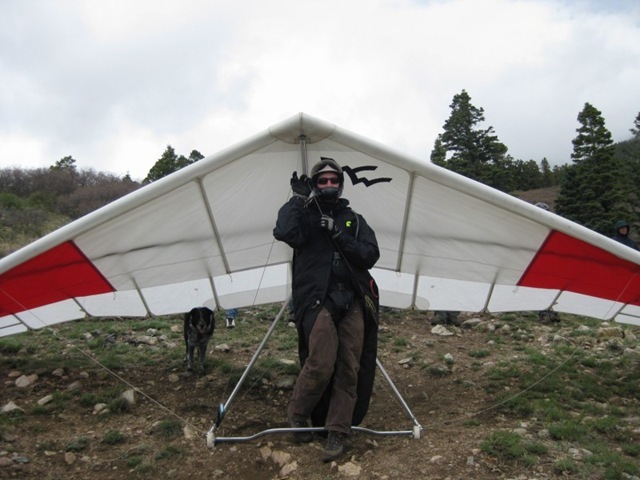 Above picture is the 3 of us plus my glider motoring up to launch via 4wheeler courtesy of Tony S, the man. One of these mornings was a top 10 flight for me and made doable by these guys’ great spirit. The cool morning air with near 100% humidity looked ridge lift soarable from 8am till maybe 11 on Sunday. 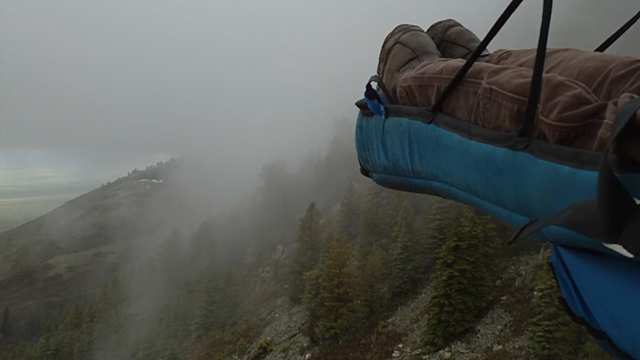 Cloudbase raised and lifted over me as I set up at 10am by my lonesome. 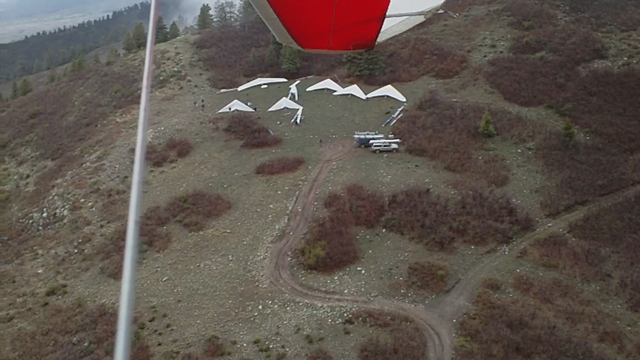 I’ve seen this before here when Fred and I had one of the most memorable flights ever, and it’s just a buffet of superman flying at, around, and through cloudbase. Turned out to be just that. Cloudbase immersion. I was happier than a pig in poo. 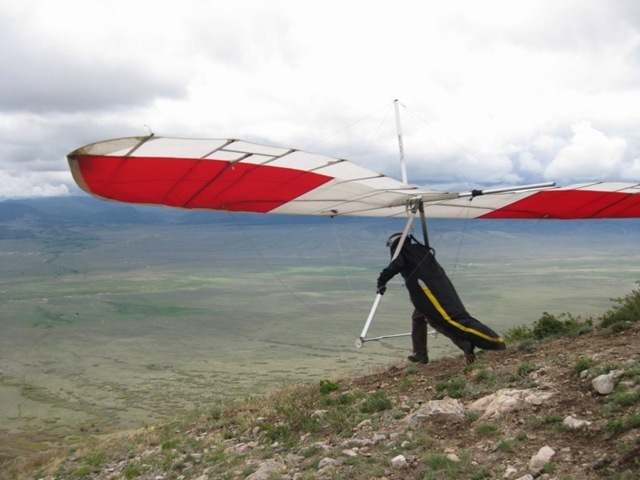 See the gliders on launch above. The cloud/fog would form below cloudbase in the trees and roll up the hillsides at 8-10 mph. Also, helping show the ridge lifts’ continuing and then waning strength. 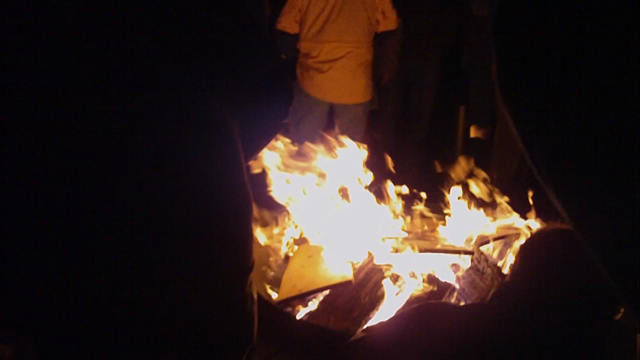 Saturday night we had a great bonfire style party with a guy melting aluminum cans in it and pouring it out for artistic shapes. One night the rain just pounded us for hours but the outdoor party went on and on till 3am. The Lookout crew represented by Jobin (flying PG), and Leif (setting up HG). Jobin really impressed everyone with his scratching ability. Is that Baloo under my wing? The best dog ever. The abundant moisture changed all the rules. Flying near huge looking virga/rain drop outs became common. At one point, a couple PG’s got caught getting blown N from a gust front that originated 15-20 miles south of us. That particular gust front caught everyone by surprise but other than getting dragged thru cactus, they were fine thank goodness. Sunday, a group of us got off and up and ran South almost immediately to get some distance from a wall of low cloud fallout. Most gust fronts this w/e would max out with 15mph wind so the HG’s weren’t as worried as typical, but this line of rain began to engulf everything we could see to the N and West so I eventually lost confidence in my understanding of what it might produce. As I ran South, I climbed 1500 ft in the rain and was thankful Leif bought us cheapo rain coats for the w/e. 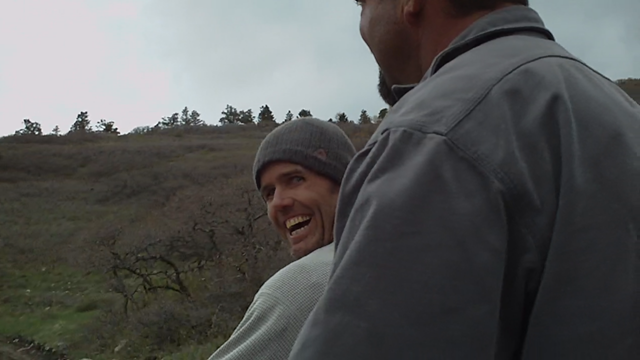 Rich and Brett caught up to me and we made good time in the ridge lift created by a smaller gust front. 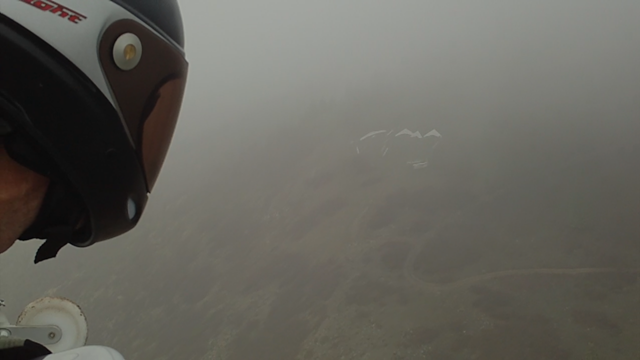 No video, but it was epic getting up to the clouds and cruising in the Sport 2. 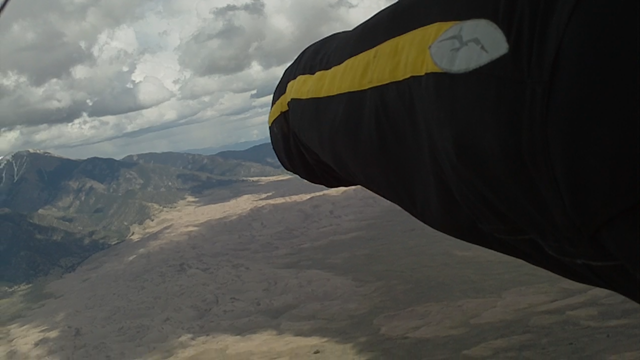 As things closed in, I opted to glide to Valley View Hotsprings (8 miles from launch) and wing-over my altitude down to the ground. 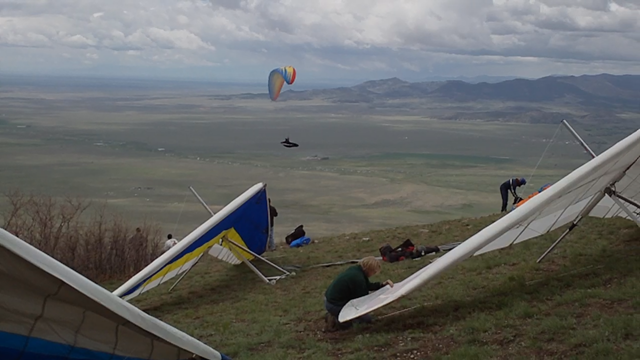 Rich landed with me shortly thereafter and the gust front hit 15 minutes later with nothing more than 15mph. Amazing how the overly humid conditions create such tame gust fronts.. GOOD VIRGA lives on. JJ picked us up with amazing liquor and a great beer I’d never heard of and drove us to Joyful Journey Hotsprings to soak the day away. Monday brought a little drier conditions and an opportunity to bring out my Atos. 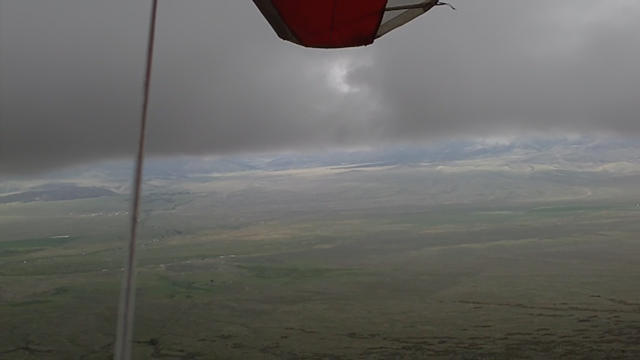 The above picture shows cloudbase around 13.2, super low for typical Sangre flying. 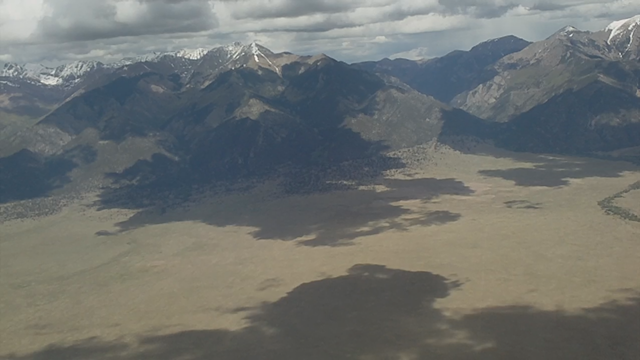 Also untypical for me was a flight that was entirely over the San Luis Valley instead of against the Sangre De Christo’s. 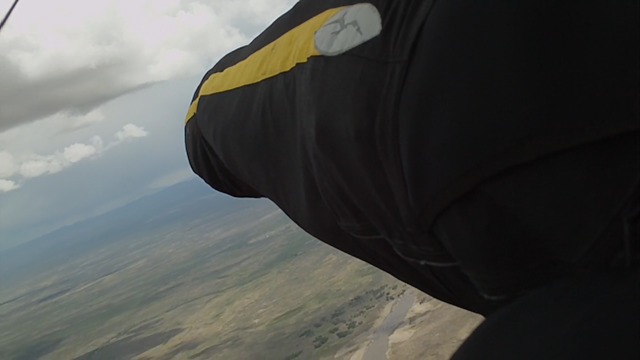 It was fantastic cloud flying! EPIC doesn’t do it justice. Getting off the hill was tricky. 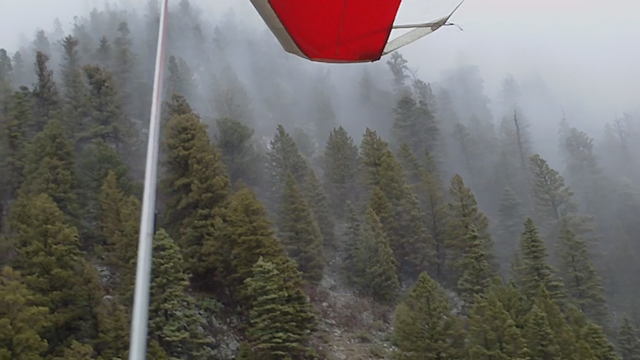 Waited for some sunlight to come, walked to launch in a crosswind and waited for something to change. Eventually, a thermal block created no-wind, and then a skosch of a puff up the face. I took it and headed N to where I thought the thermal was and sure enough, it worked till I lost it. I headed out to a cloud in the valley and spent the next 30 minutes low trying to stay off the ground and find something that would get me up to the clouds. After many disappointing climbs to just 10k, a boomer got me to the white room and 13k. I wanted to hussle for the New Mexico border but some of these clouds were too good to pass up so I boated around and beside some of them for a while just to take it all in. 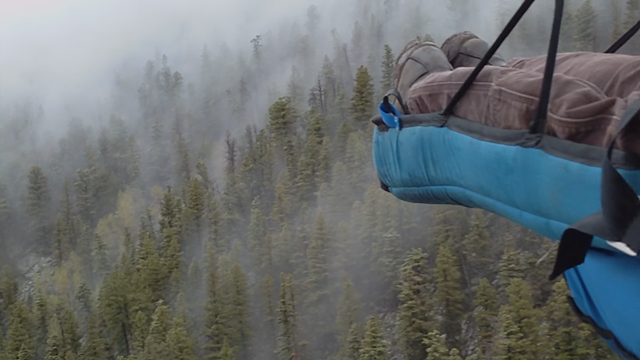 Smooth, gentle lift and phat conditions made this kind of a zen flight. 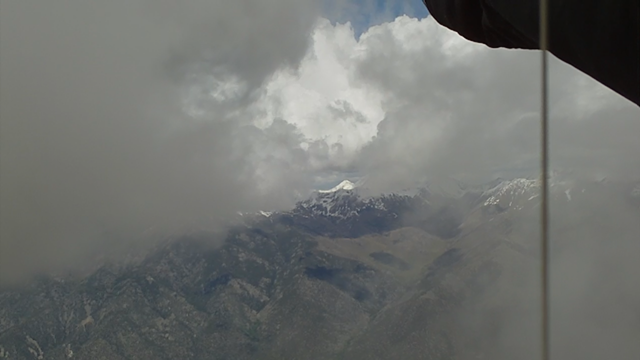 Anyway, cruising downvalley, I played it conservative in some super slow climbs and then had to poke around to find at least a cloudbase climb over Crestone because the next 20 miles were pretty much unretrievable should I have to land. 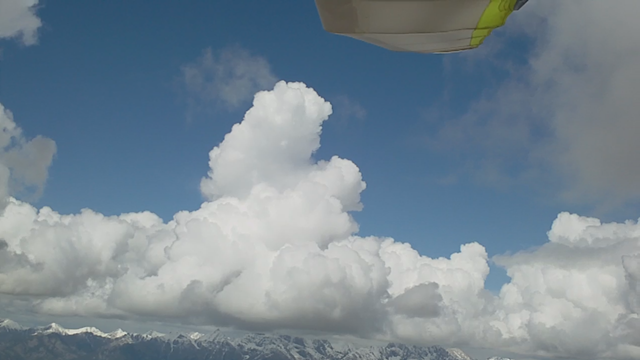 Because of the situation, I milked a climb up above cloudbase (magical) for about 400ft making passes with one wing in the side of the cloud and one wing out making big rectangles. Then across the abyss of roads with as full a tank as possible. Sure enough, the worst sink of the day took me down to 9k or so and I had only made 6 of the 20 miles. Doh! Came across a better than avg climb just then and all was well. 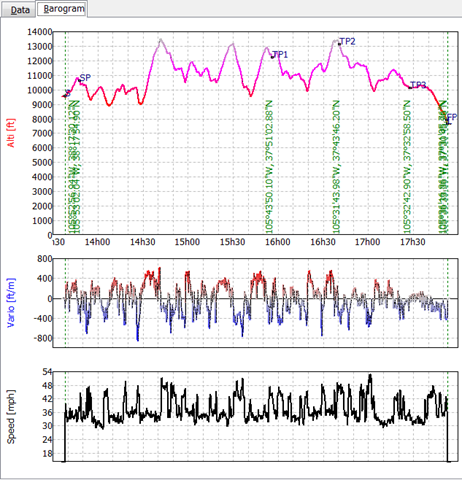 It ended up taking 3 thermals to cross the 20 miles as I hit headwind. A long convergence line set up E to West over the dunes and I climbed under it wondering if I should try to cruise E for 10 miles. Looked AWESOME! See the long shadow and nice flat bottoms above. From this convergence, heading back N, or continuing S would result in a headwind. Look at the thermal drifts below! 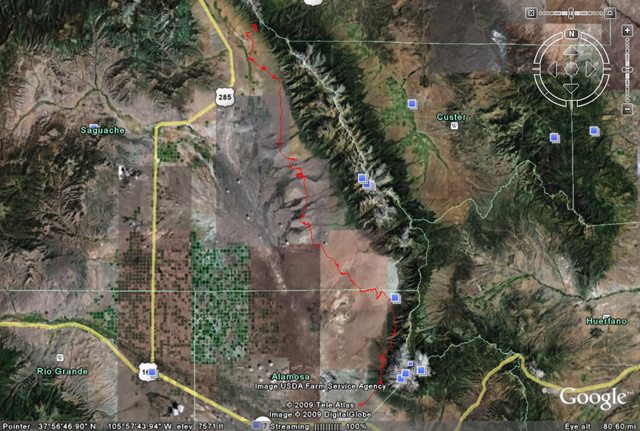 So, I had a SSW headwind from the dunes as I headed due S. towards Blanca peak, a massive 14’er. By the way, that convergence line was still evident with clouds after breaking down, having a steak dinner and some driving! Pretty cool. Anyway, another 5 miles to get to the S side of these dunes and I’d be across the no-landing area’s. 30 miles ahead there had been a long line of overcast and rain that I was sure would stop my progress. 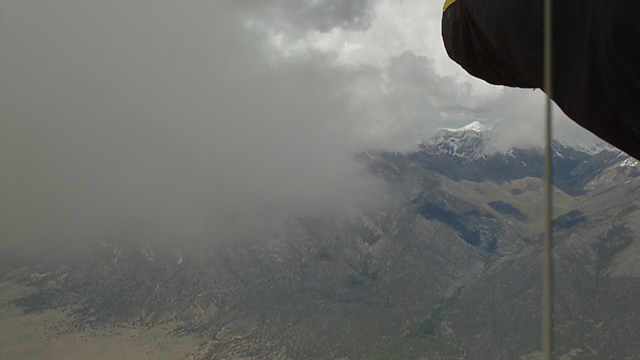 It didn’t fizzle out and clear up like the other clouds and I was pretty sure making NM was out of the question. See it in the background of the below picture? 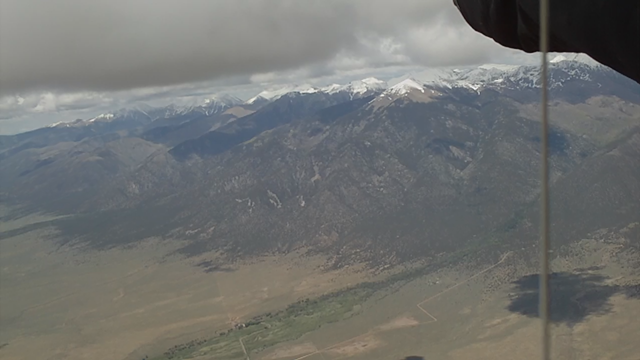 Video went dead so I can’t show the low cloud punching done along the foothills of Blanca peak but it was another moment I’ll remember forever. What happened was as I got along the hills behind the dunes and Blanca, the headwind was crossing the mtns and didn’t provide any ridge lift. The further I got, the worse the headwind and it became evident that the gust front from the upwind rain line had approached. The best part was that it’s colder air manifested itself as little low puffies around 10.5k rolling over each windward spine. 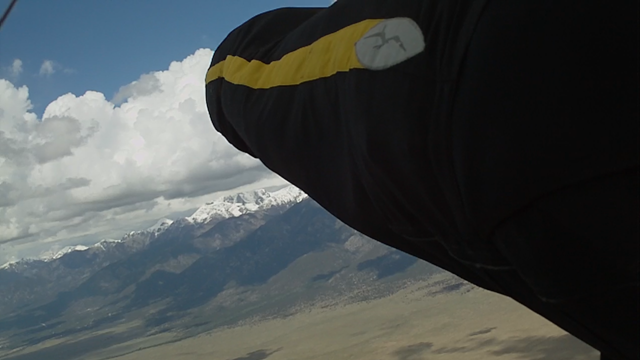 I got to just connect them via punching through, over and around them to get me the final 4 miles upwind to the windward side of Blanca w/o loosing more altitude. Then I thought I’d be able to catch something but the shade and lack of cummies upwind proved too much for the day to give me much more. 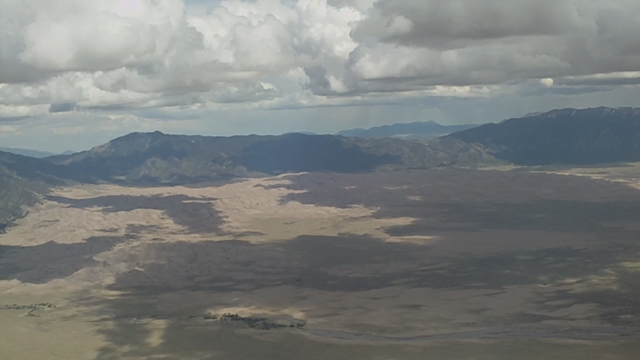 With my eyes turning yellow, I couldn’t imagine another several hours till landing so I gave up on the NM border goal. 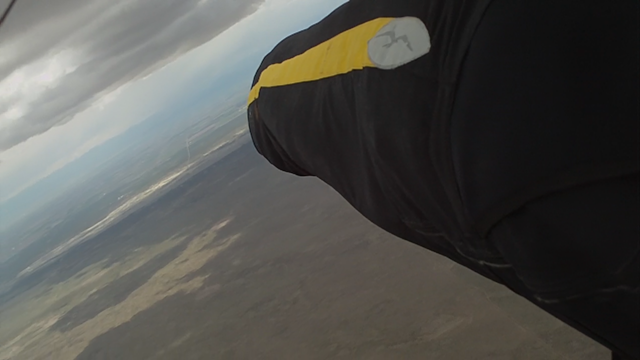 It was a super boaty glide out to the flat lands south of Blanca and some usable lift was out there. The top of the peaks and later the sand dunes caught the sun as most of the land became shaded making for some spectacular views. The clouds gave so much information as to what the air was doing and it was super fun trying to problem-solve the best courses to take. There were cloud streets, but they would move fast from West to East. There was convergence, there was cold-front like gust fronts, there was good virga and some bad. It will be hard to pass up Villa flying when conditions look super wet again! 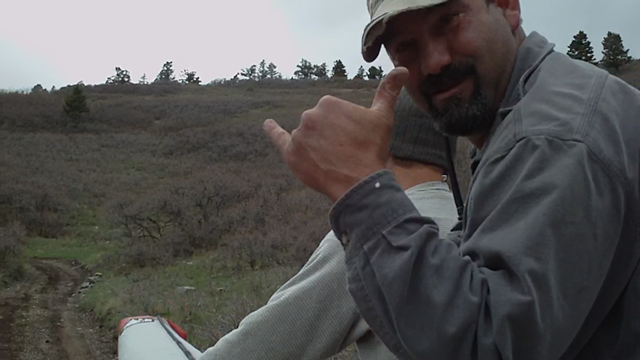 Oh yeah, Leif was nice enough to chase me downrange and give great wind info. Once we got back to Larry’s, we had to run to launch to retrieve my Sport2 and I challenged him to beat the drive-to-launch record of 10 minutes (which he holds)…. 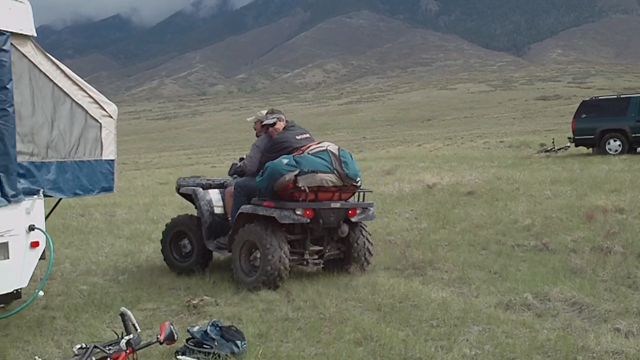 Although we were on a record pace, we missed it by about 18 hours since we blew 2 tires and had to camp another night to fix that little problem by the light of day! Here’s our pellet gun project from that night (video at link)…. 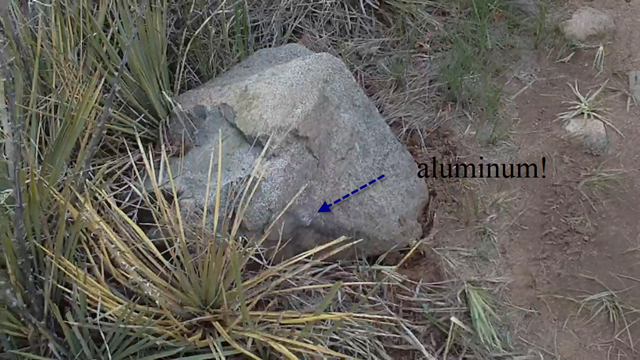 And here’s the rock… with aluminum on it and all….